The Geriatric Depression Scale (GDS) is a screening test used to identify symptoms of depression in older adults. What Forms of the GDS Are Available? The GDS is available in a long form that consists of 30 questions, and a more commonly used short form that has 15 questions. There is also a five-item GDS that research has shown to be comparable to the 15-question form in terms of effectively identifying depression. What Kind of Questions Does the GDS Include? Have you dropped out of your activities or interests? Do you feel that you have more problems with memory than most people? How Is the GDS Scored? A point is given for each answer that indicates depression. For example, in the above questions, one point would be given if the person answered "no" for the first question and "yes" for the second question. The GDS form usually has the answer that could indicate depression underlined or bolded, to indicate the responses for which a point is given. For the short form, a score of above five suggests depression. On the long form, a score is considered normal if it's between 0-9; an indicator of mild depression is between 10-19; and a positive for severe depression is between 20-30. If you're using the five-item version, a score of two or more is indicative of depression. How Much Does the GDS Cost to Use? The GDS is considered public domain and is free to use. How Much Training Is Needed to Properly Administer the GDS? In addition to being free, the GDS requires very little training to administer. In fact, the GDS can even be self-administered. How Accurate is the GDS? According to multiple research studies, both the long and the short form GDS are quite accurate at identifying depression in older people. The GDS has been translated into several different languages, several of which have been validated by research as being accurate in identifying depression. 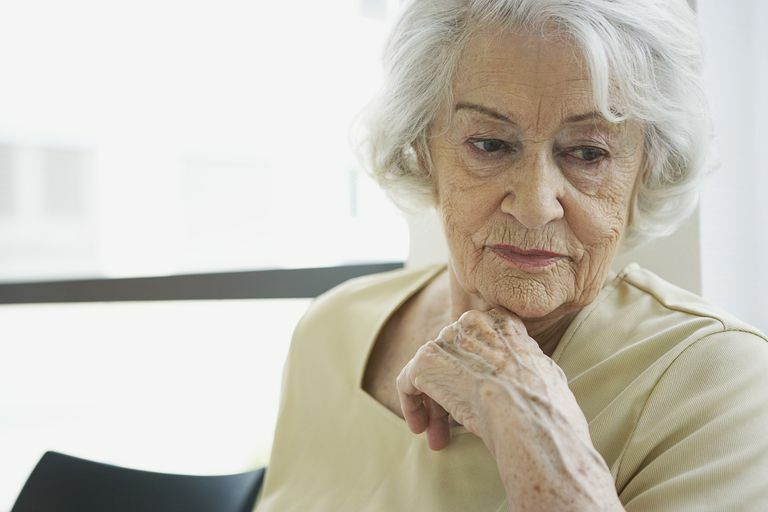 Can the Geriatric Depression Scale Be Used to Measure Depression in People with Dementia? The International Journal of Geriatric Psychiatry published research that studied the effectiveness of the GDS when it came to assessing depression levels in people with dementia. It found that in addition to accurately identifying depression in people whose cognition was intact, the GDS could also accurately be used to screen for depression in people whose Mini-Mental State Exam scores were at 15 or above. Thus, the GDS can be used in the early to middle stages of Alzheimer's with accuracy. The Hartford Institute for Geriatric Nursing, New York University, College of Nursing. Try this: Best Practices in Nursing Care to Older Adults. The Geriatric Depression Scale (GDS).